The unstoppable march of the Gaines family continues, as Chip announces he is publishing a memoir, Capital Gaines. Long before the world took notice, Chip was a serial entrepreneur who was always ready for the next challenge, even if it didn’t quite work out as planned. Whether it was buying a neighborhood laundromat or talking a bank into a loan for some equipment to start a lawn-mowing service, Chip always knew that the most important thing was to take that first step. 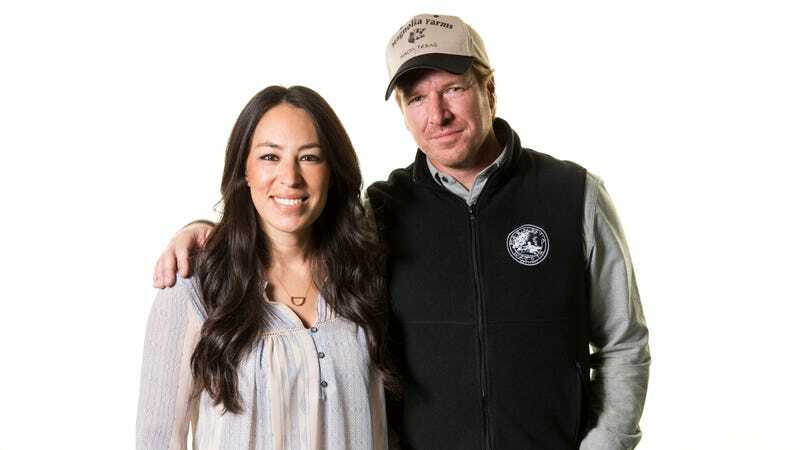 The question here is: Where is Joanna Gaines’ book? The couple has already released a joint work, The Magnolia Story. But it seems a pretty safe bet that minute Joanna releases a big lavish expensive coffee table guide to the Magnolia lifestyle, it’ll become one of the bestselling books in America. Perhaps her agent is out there somewhere this very minute, playing publishers off one another for the maximally lucrative deal.